Sensing that the North American trivia-oriented pub games market was relatively untapped and that technological innovations are, ironically, polarizing individuals in theoretically social eating and drinking environments, the PubStumpers concept was hatched. 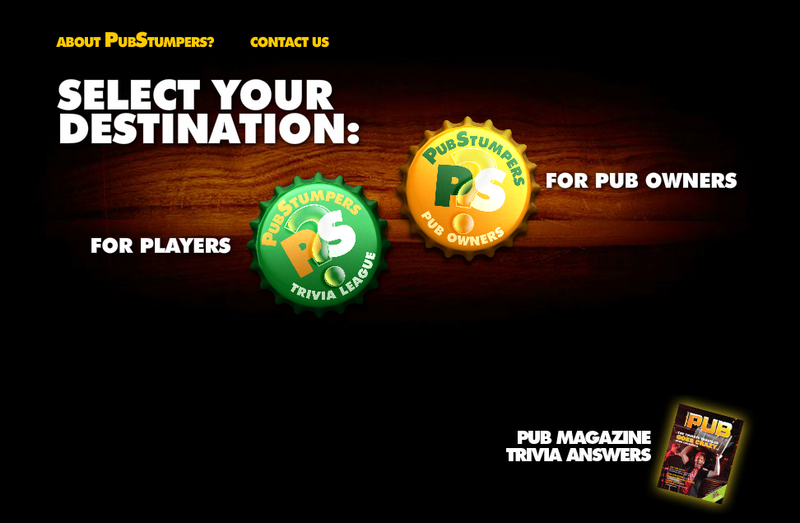 Based loosely on the British-style pub quiz, PubStumpers is a North America-wide federation of trivia leagues in which teams of contestants compete in weekly live-hosted trivia nights at participating bars. A 12-week season trivia package includes all the game materials and marketing tools necessary to administer a successful trivia league. All a prospective bar needs is a sound system, an engaging host, an agile bartender and enthusiastic servers to keep the food and spirits flowing. Any bar or pub, cosmopolitan or rural, corporate franchise or independent "mom and pop" operation, will score a home run with PubStumpers. Launch your league today! If you host it, the players will come! Copyright © 2016 Braintrust Games, Inc. All rights reserved. PubStumpers is the hottest ticket in town! It’s a potent blend of entertainment: one part stimulant, one part relaxant and two parts healthy competition amongst friends and peers. It’s a North America-wide federation of trivia leagues in which participating bars are packed with patrons eager to compete in weekly live-hosted trivia nights. Teams of contestants vie for glory, honour and prizes in weekly games that demand lots of skill and more than a little luck. Whether you’re hoping to beat the odds and score a perfect game or just looking to beat the team that’s nipping at your heels each night, the challenge is on!